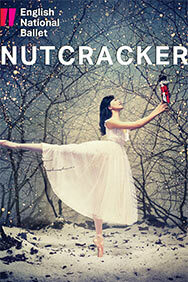 Enjoy The Nutcracker by Tchaikovsky, performed by the English National Ballet on London Coliseum. Book tickets for The Nutcracker in London here! Journey back in time with the English National Ballet to a frost covered, gaslit London. 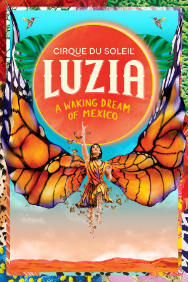 There you'll meet young Clara, her enchanted Nutcracker doll, and the magician Drosselmeyer in this traditional festive tale for all the family. In a world of Edwardian elegance, The Nutcracker brings to life the eternally popular Tchaikovsky score featuring the Dance of the Sugar Plum Fairy and the Waltz of the Flowers. This classical production is a magical, memorable and unmissable Christmas treat. On a magical Christmas Eve, under the heavy boughs of the candellit Chritmas tree, young Clara drifts off to sleep and (seemingly) awakens to do battle with an invading Mouse King and his army, and fall in love with a handsome stranger. As the air grows colder and snowflakes begin to fall, Clara and her Nutcracker - who has magically assumed heroic human form - take a hot-air ballon ride across the frosted London skyline to the glistening Land of Snow, where their adventure really begins.